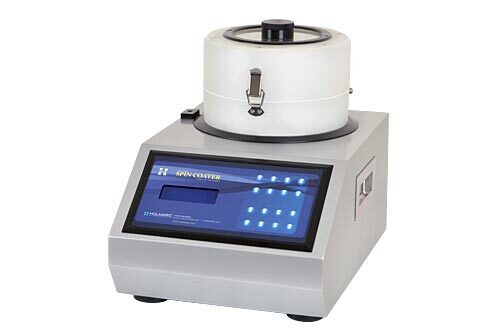 Holmarc’s Spin Coating unit, Model no: HO-TH-05C has been designed with many additional features than that of Model: HO-TH-05. In this model of spin coater, UV LED curing system is used whenever there is a need for curing and drying of coatings. It also provides gases purge facility for additional supply of gases inside the chamber. Vaccum Chucks provide flat, rigid surface for mounting substrates of different sizes and shapes. A vaccum chuck powered by oil- less vaccum pump holds the substrate at the spinning head. In-built sample dispensing system (optional accessory) helps to supply volatile solution in milli liter volume. The syringe holder height can be adjusted and rotated freely along the support rod. All required safety measures are provided for high speed rotation and spillage. It also provides facility for drainage. The system has a user friendly front panel with key board and LCD display. The programs are easy to set up with up to 9 steps per program. 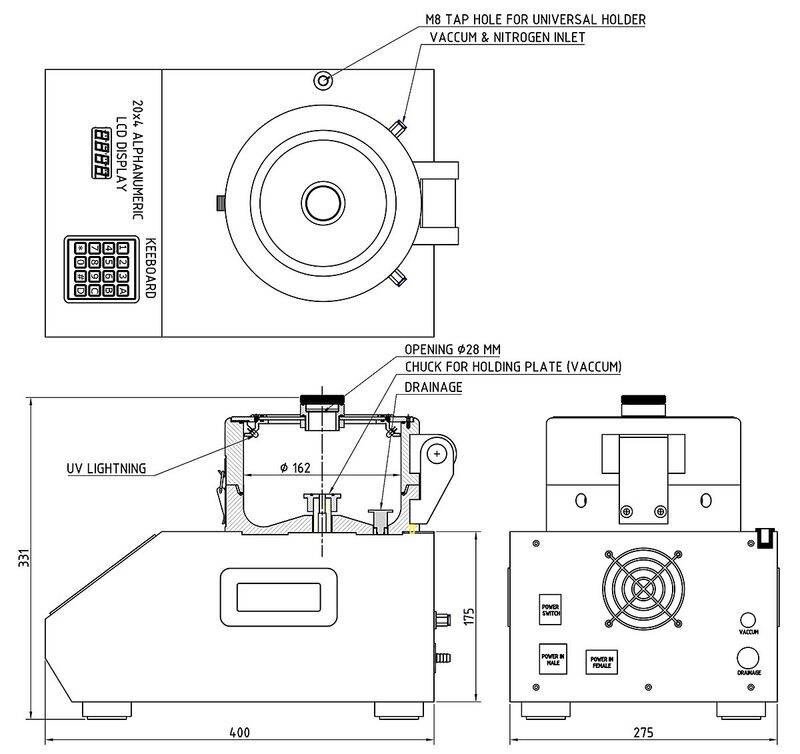 All other features are same as that of Model: HO-TH-05. Three sets of nylon anti-corrosive vacuum chucks are provided along with the equipment for holding substrate from 15 x 15 mm square to 100 x 100 mm square. 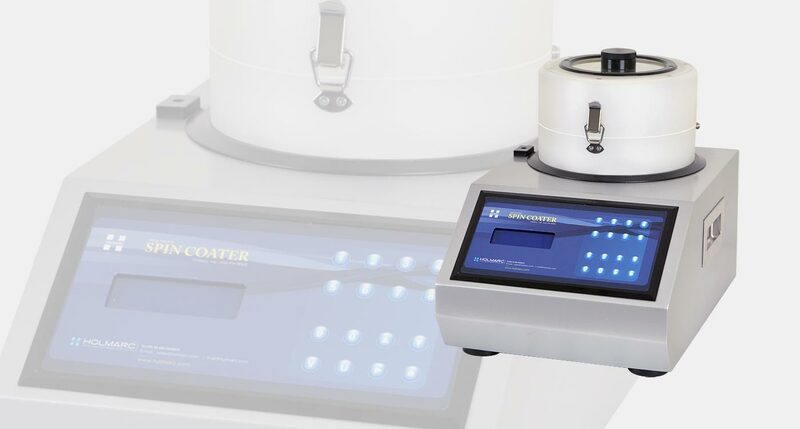 Holmarc’s Spin Coater, Model no: HO-TH-05 is a dedicated tabletop system to spin coat small substrates in research laboratories with well controlled spin process parameters.